While Mom's been on winter break from school (which sadly ends tomorrow), we spent most of our time at Dad's house so we could all five be together. Dad's apartment complex has a Bark Park. 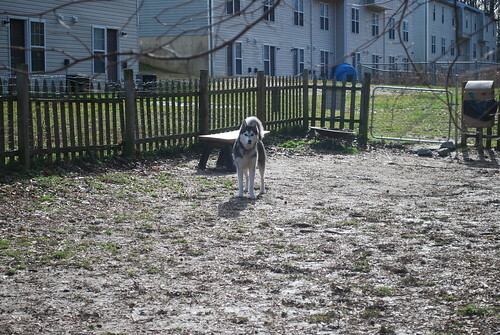 It's not very big, but since we don't have a yard, it's a nice play area. We can see the Bark Park from the windows in the back of Dad's apartment, so if it's empty, sometimes we head down there for some fun. 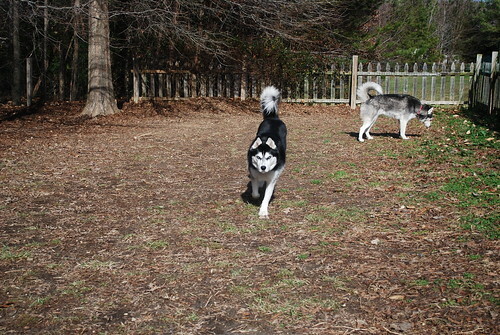 I like to run around a lot. 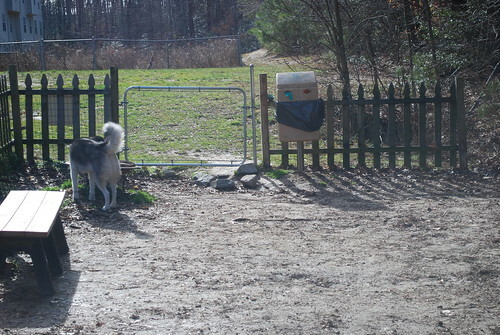 Steve is more boring and just likes to sniff and hang out by the gate. 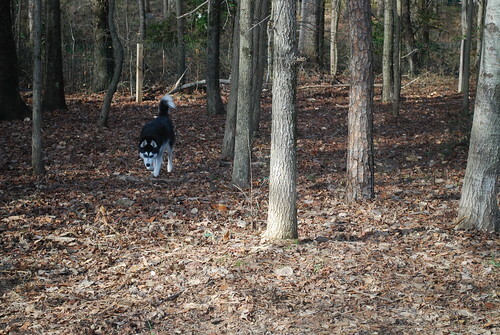 There are a lot of trees in the Bark Park, so that means lots of stuff to sniff. 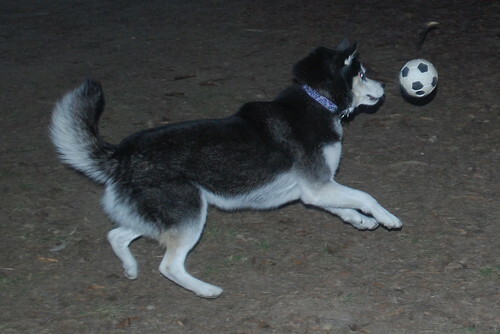 A few times, Mom took my soccer ball out to the Bark Park and kicked it around. I like to pounce on it. It will be fun when we get a yard again and can play outside easily, but until then, Dad's Bark Park is a pretty good alternative.